It's not very often I get to spend some time with my son Eric. Like a typical 18 year old, he has better thing things to do then hang out with me. If he's not working he's out with the ladies. We both happened to be off work on Monday and decided to hit some canals around the area, specifically the 10 mile canal off of Alico rd. 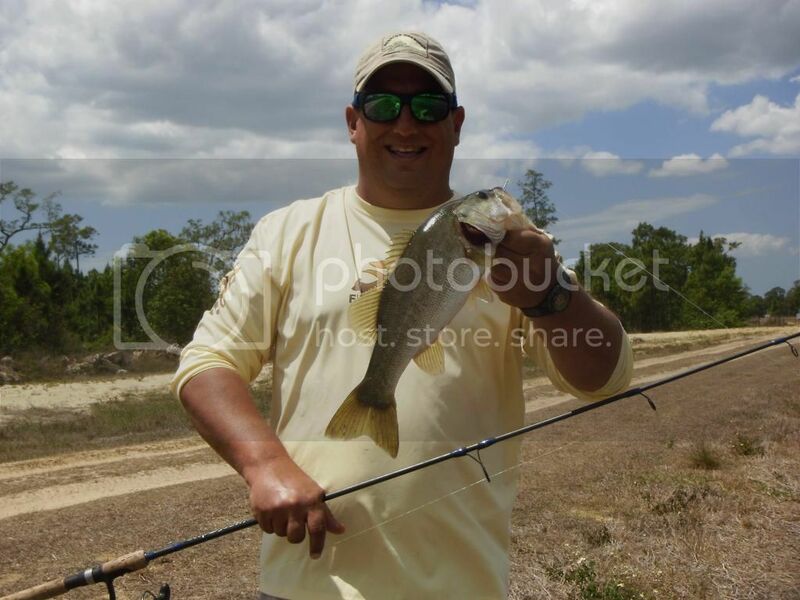 We have caught some very nice snook there in the past. We started out a little late in the morning and when we arrived we found there was no water coming over the water control dam. There was a lot of bait around, but not much else. Eric decided to put the kayak in and have a look around and after a few minutes came back and told me about the big snook just down the canal. He never gets excited about anything so imagine this giant guy saying in a low monotone voice "there's some pretty big snook down there" and you really don't know what to expect. I paddled the kayak down to the area he was advising me on and I saw the largest snook I have ever seen. I mean snook as in plural! My largest I have caught was 42", these were that and more! 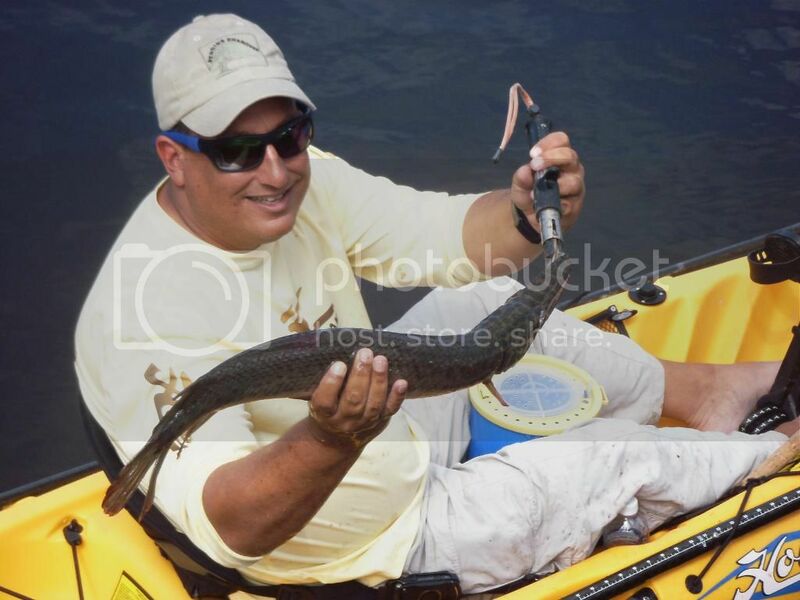 After a few feeble attempts to get these giants interested in my bait, I paddled back and eventually caught this gar. After sticking around this area for a little while longer, Eric says he knows another place nearby for bass. This is what I loved the most about this trip. My son is sharing his fishing spots with me! Sometime in the last 18 years my boy grew up right in front of me and now he's showing me where to fish! You fathers out there know what I'm saying! So anyway, we go up the canal a little way and get to the area. I didn't want to say it, but it didn't look very promising. The canal was narrow and full of tilapia, but no sign of any real fish. Very soon after we arrive, Eric scores the first bass. Over the next hour or so, it was kinda like shooting fish in a barrel! They weren't huge bass, but they were healthy and good fighters. Eric and I caught several while we were standing next to each other talking about our many fishing trips to the keys and the beaches of SW Florida. He told me about some of the tackle he likes to use and why. We even talked about women. Next year he goes off to college and I won't get to see him near as much, but I will always remember this little fishing trip of ours as the time I got to know my son all over again. 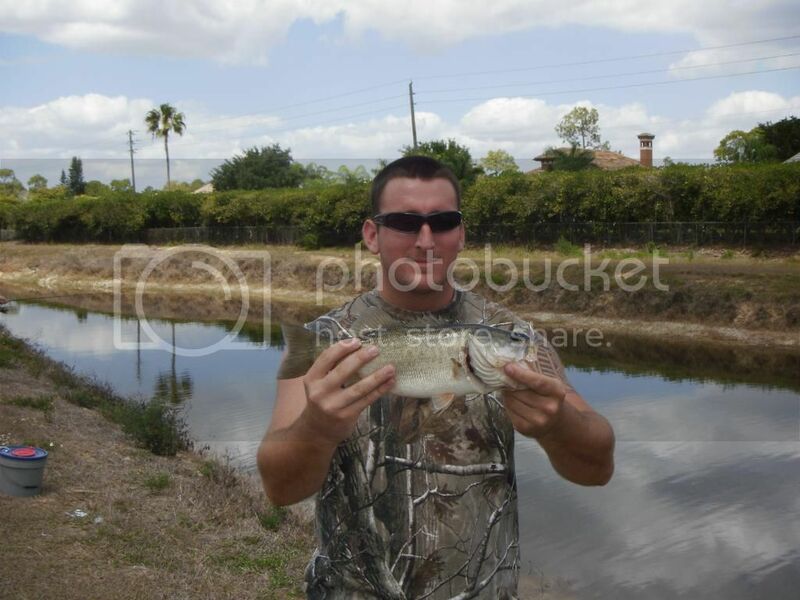 I have plenty of fun on those days where I real in a ton of 1-2 pounders that is for sure. Looks like a great time. X2 Those days are the best! I have 2 girls that love to fish. I hope one day when they get older they can also show dad where the spots are at. Great report!